Bob Paulinski, senior vice president of wine at BevMo, says the average grocery store’s wine selection today is similar to that found at a wine specialty shop 20 years ago. Santa Rosa, Calif.—For most consumers, wine really isn’t that special; it’s up to producers to make it special. That message may be hard to swallow for a crowd of winemakers and marketers who have dedicated their lives to wine, but Bob Paulinski, a master of wine and retailer BevMo’s senior vice president for wine, said it’s something everyone in the industry needs to appreciate. 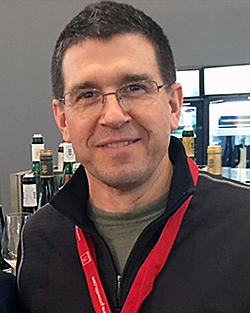 Paulinski was the 19th North American to pass the Master of Wine examination and joined BevMo in 2013 to manage its 155 stores. His career at BevMo followed five years as category director of wine, spirits and beer for Bi-Lo Holdings, which operates more than 1,000 grocery stores in the southwestern United States. The executive started in wine after opening his own retail shop in Michigan in 1986, a sales channel he described as “becoming more and more of a rarity.” Paulinski discussed the current wine market during an event hosted by French wine closure producer DIAM and its U.S. distributor G3. Consumers today can pick and choose from a sea of wine brands that are accessible online or at the local grocery store. The average store now offers a selection of wine, both domestic and imported, that’s comparable to what the average wine specialty shop would have had 10 or 20 years ago. Despite all those brands, wine can still trigger an emotional response, and that’s something a winery can leverage to create a successful brand. “I would look at that as something as very valuable but not unique,” Paulinski said. Spirits producers enjoy tremendous brand loyalty, while craft beer consumers are always seeking something new. Paulinski said wine falls between the two extremes. On one hand there’s the trendy “Fifty Shades of Grey” wine, and on the other there’s Kendall Jackson Vintner’s Reserve Chardonnay, a staple on U.S. retail shelves for more than 30 years. “The thing I can’t stress enough is the wine market is not homogenous; what works for some won’t work for others,” Paulinski said. To stand out in an ultra-fragmented market against the thousands of other brands in the “very evolved wine sets” of grocery and chain stores, Paulinski said a brand needs to be compelling. The wine either must have some legacy and unique quality or be highly targeted. “You get to the point where if you don’t have a compelling story or some reason to be relevant, you’re on the outside looking in,” he said. Instead, private labels are either retailer-controlled brands that appear to the consumer as independent brands or brand exclusives. These exclusives carry the labels of known producers but are brands or varietals produced solely for the retailers. “It brings a lot of credibility to the brand right out of the gate,” Paulinski said. When asked about BevMo’s private label program, Paulinski said he thought they accounted for about a third of all the chain’s wine SKUs. He added that the purely private labels have been pared back, while the brand exclusive projects are growing, and he wouldn’t be surprised if the U.S. market comes to resemble the U.K., which is dominated by private labels.